There is no way in the whole wide world we could cope without all the volunteers past and present. Don't be so silly! Why would we want to get rid of the humble bunk beds, humble mattresses and humble musty feather pillows? These bad boys are all still here and are waiting to be slept on by your humble selves. We always need voluntary staff and appreciate it when people come to help. You make such a difference! "Hey good-looking, what you got cooking?" "Scrub a dub dub three men in a tub"
"Near, far, where ever you are"
"Loves the jobs you hate"
"Macho macho man, I wanna' be a macho man"
We are busy the whole year round so ALWAYS need people to come and help whether we have a camp in or not. 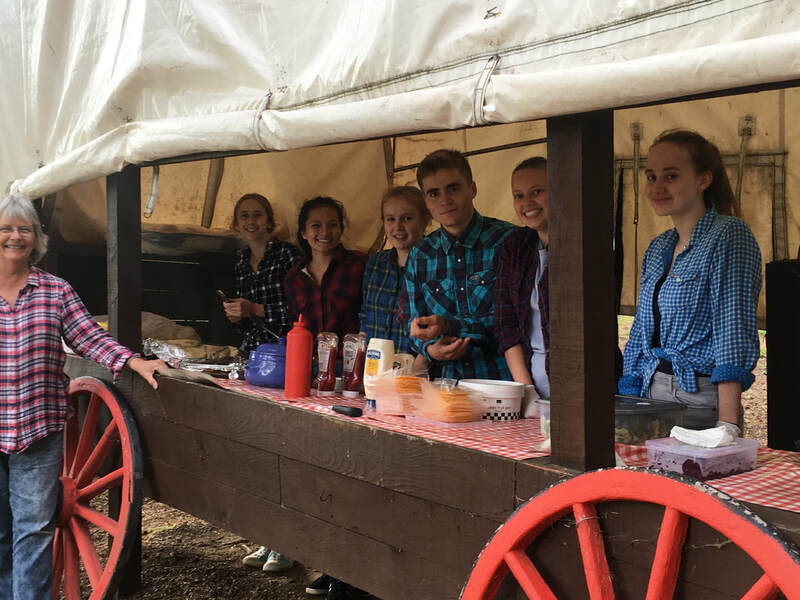 To be a volunteer at Teen Ranch you must be 15 or over with a good attitude. We'll feed and water you and give you a bed just like a little flower. If volunteering at the weekend camps be here for 7.30pm Friday night. If coming for a week camp arrive on Sunday for 2pm where we will meet in the meeting room.